Non Skid Paint marine epoxy for aluminum boat, fiberglass, wood, metal and concrete surfaces. 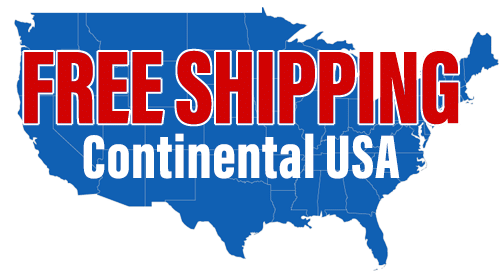 Easy do-it-yourself non skid paint instead of carpet for aluminum boat, jon boat, catfish rig, bass boat, waterfowl boat, duck boat, river boat, pontoon boat, house boat, canoe, and kayak. We have all experienced the anxiety and feeling of fear when you slip and fall on a wet surface. And in the worst case you can really hurt yourself. Let me tell you that is a feeling you do not want to experience ever again! Our Non Skid Paint will eliminate your slippery surface and provide you with the safety, security, sure footing, and peace of mind you deserve and expect. Your Coverage Per Square Foot Matters! Non-Skid Paint offers 2-3 times more coverage. Equals 2-3 times more in savings for your project! 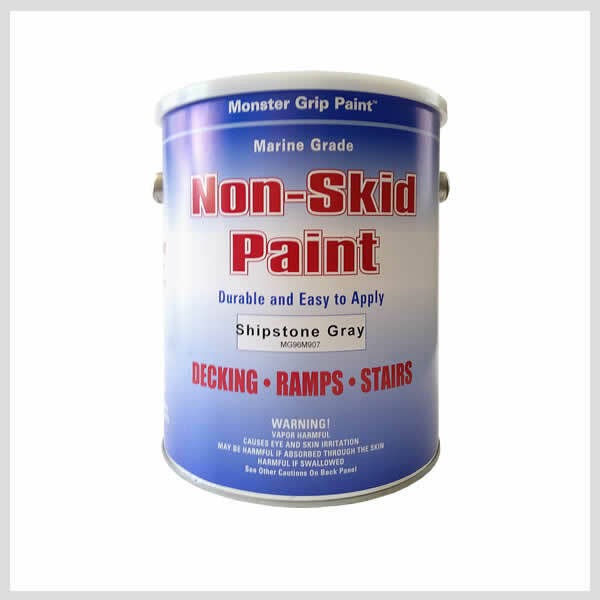 Marine NonSkid Deck Paint is an ideal non slip protective coating for areas where water is present or slippery surfaces exist. Easy to apply aerosol spray-on or bulk gallon painting using a brush, or 3/8 inch (low nap) roller. Providing a flexible, durable, textured deck coating that is attractive and will help prevent slip and fall accidents before they happen. Marine Epoxy (One Part) Non Skid Paint for boats is eco friendly and will not harm the environment when used as directed. Anti Skid texture has no sharp edges and is not abrasive to bare feet. Extra Grit Additive is available for applications needing an increased texture such as stair tread, and incline ramp. Best Coverage: Marine Non Skid Deck Paint #200-400 square feet per gallon. 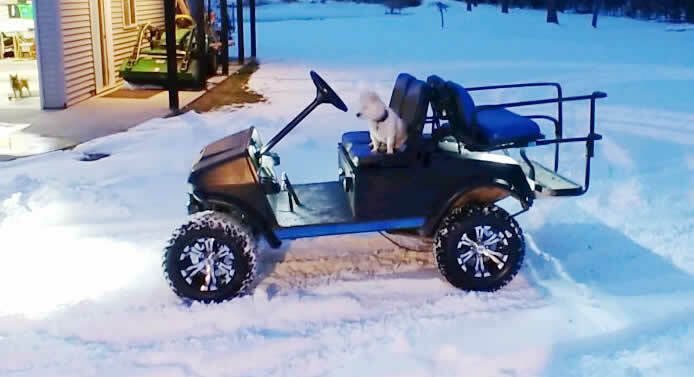 Competitor’s Coverage: Only #100-125 square feet per gallon. Super Cost Savings: That’s More than 50% Less Coverage per square foot, you decide ? Save Big Time on your annual insurance costs with a Safety First Policy! Businesses must maintain their floors in slip resistant condition or face fines up to $50,000 for first offense and up to $100,000 for a second offense. The Americans with Disabilities Act recognizes the importance of maintaining non slip floors and stair treads. Business owners, municipalities, manufactures, and property owners everywhere know how costly a slip and fall accident can be. They know sooner or later they will have an encounter with a slip and fall accident resulting in injury and possibly a lawsuit. The application of non skid deck paint can significantly reduce damage awards in slip and fall lawsuits because the claimant cannot accuse the property owner of negligence. All the while benefits include less insurance claims, lower property insurance and workers compensation insurance. It is recommended to use Non Skid Paint in Polar White to add too another color to achieve a lighter shade in that same color. For color consistency use a 1 to 1 ratio (Example: for every 1 gallon of chosen color add 1 quart of Polar White). #200-400 SQUARE FEET PER GALLON @ 4 MILS WET = 1.5 MILS DRY – A two-coat application is recommended for most surfaces, and easy to apply with a brush or 3/8″ inch (low nap) roller. NonSkid Helpful Tips & Frequently Asked Questions! On garage floors or other areas where vehicles are parked OR on smooth glossy surfaces such as porcelain. In areas where standing water or ponding occurs, these areas must be leveled for proper drainage prior to use of Non Skid Deck Paint. * Use our Non Slip Coating (Solvent Base) for bottom of boat were ponding water occurs. For Gelcoat and Fiberglass use Acetone. For Non-Ferrous Metals use a Industrial Degreaser, Aluminum use a aluminum metal-etch treatment and preparation. On Concrete use Trisodium Phosphate (TSP), use a firm bristle brush and rinse off thoroughly with clean water. Area must be completely dry before application. If necessary, use a heat source such as a large Hot Air Floor Dryer. These products are available through most Hardware Stores. Do I need to add Monster Grit Extra Texture Additive? NO, Non Skid Deck Paint comes (premixed) with Grit. Extra Grit Additive is recommended for applications such as Incline Ramps and Stair Treads. Why do I need to stir Non Skid Deck Paint so thoroughly and not just shake it up real good? The Pumice Grit material in Non Slip Deck Paint settles to the top of can, and sometimes sticks to the lid. This is because the Grit is lighter than the Epoxy and will stay suspended and not sink to the bottom of can after thoroughly mixed. It is best to scrap any Grit that is stuck to the lid back into the paint with a wood stir-stick; so as to not lose the designed textured surface. Mix well before and during application. How do I clean Non Skid Deck Paint off my hands and tools? Non Skid Deck Paint is environmentally safe to use, easily clean hands and tools with warm soapy water immediately after application. How long will it last before I need to topcoat? It is recommended that on high traffic area’s you topcoat once every 1-2 years as needed. Area’s that have low to medium traffic you can topcoat once every 2-3 years as needed. What’s the best way to keep Non Skid Deck Paint clean? 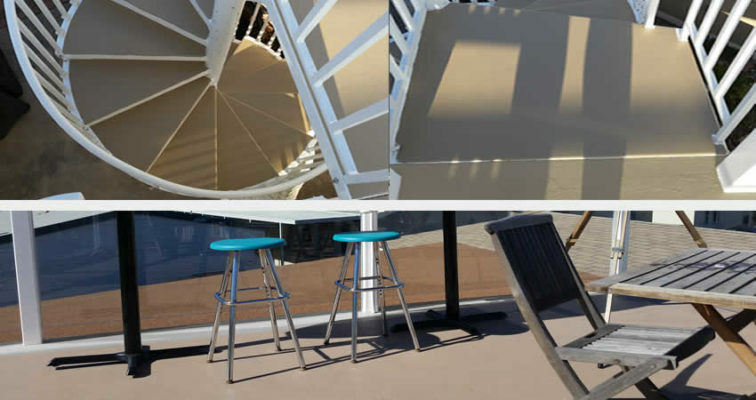 Clean NonSkid Deck Paint with warm water mixed with any mild soap or detergent. Use a firm bristle brush and rinse off thoroughly with clean water. 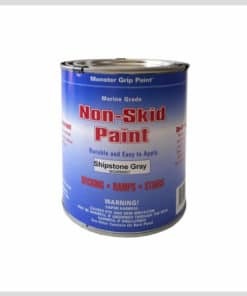 Non Skid Deck Paint is self-priming on most surfaces. On wood substrates use a exterior oil base or latex wood primer. For metal surfaces apply an exterior metal primer over clean, dry metal. This will also provide additional rust prevention. Because application and conditions vary, and are beyond our control, we are not responsible for results obtained in using this product, even when used as suggested. The user should conduct tests to determine the suitability of the product for the intended use, (including liability for breach of warranty, strict liability in tort, negligence or otherwise) is limited exclusively to replacement of the product or refund of its price. Under no circumstance are we liable for incidental and consequential damages.